Burn pits, a common way to get rid of waste at military sites in Iraq and Afghanistan, are the Agent Orange of our generation. Because of the efforts of IAVA and other VSO partners to educate the public and elevate the issue, they are finally starting to become a national priority. Our members see burn pits as a critical, urgent and growing threat that will impact an entire generation. 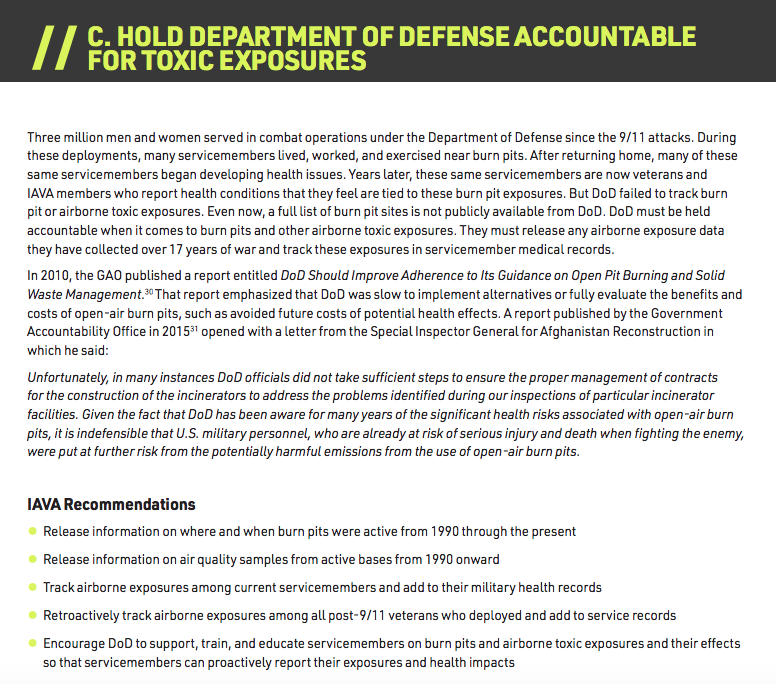 VA estimates 3.5 million veterans are eligible to register in the VA’s Airborne Hazards and Open Burn Pit Registry, which tracks exposures to airborne toxins.29 However, because enrollment is voluntary, the registry is not well-known. There are other hazards beyond burn pits that occurred in Iraq and Afghanistan that may also pose a danger for respiratory illnesses. These include inhaled irritant gases, high levels of fine dust, heavy metals due to operations in urban environments, plus the potential impact to the respiratory system from the effects of explosives and the inhalation of depleted uranium used in munitions. 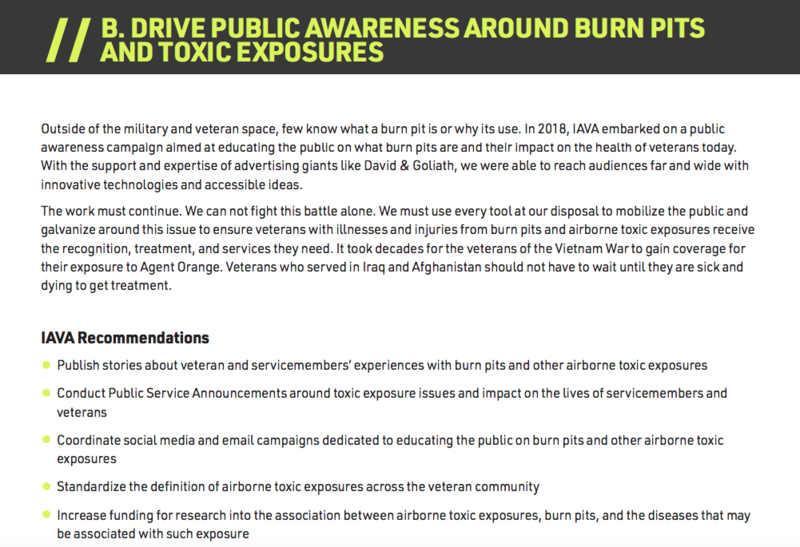 IAVA’s Rapid Response Referral Program (RRRP) works with veterans on the front lines that are suffering from the impacts of burn pits and toxic exposures. 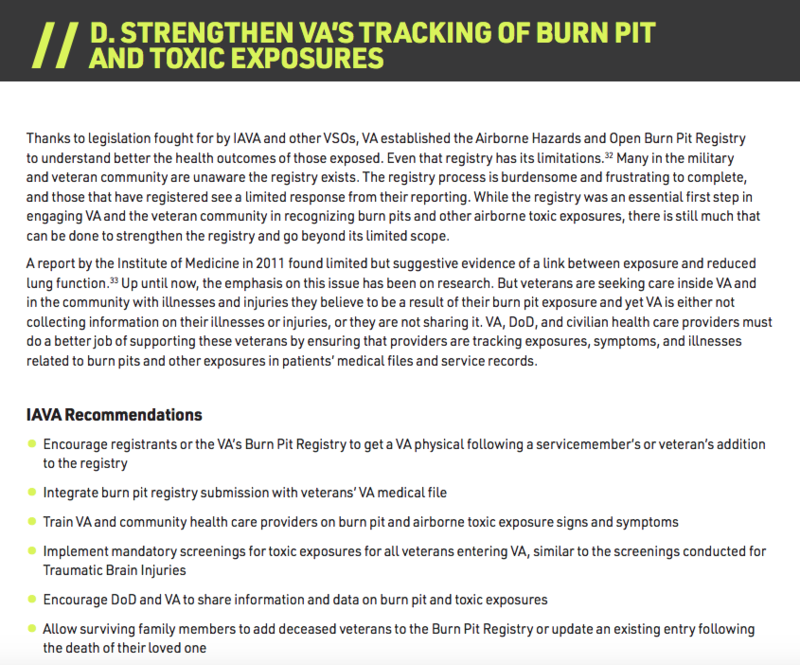 RRRP ensures that these veterans have access to quality medical care, are enrolled on the Burn Pit Registry and have a fierce advocate in their corner. 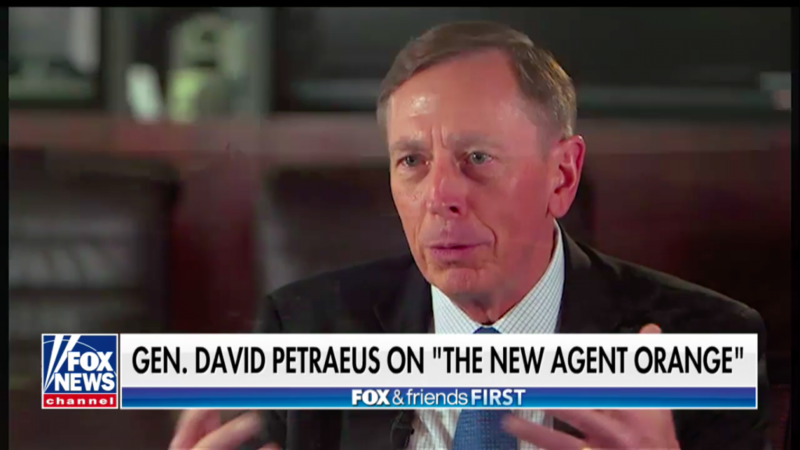 It’s past time that comprehensive action is taken to address the growing concern that these exposures have severely impacted the long term health of veterans who served after 9/11. 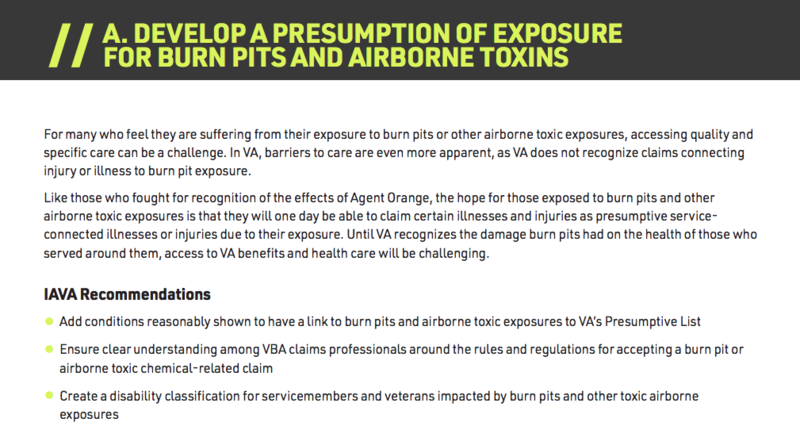 How do burn pits affect servicemembers and veterans? How is IAVA making progress toward these goals?